The M1s were knocked out of the cup by Wapping 1-3 on Sunday. 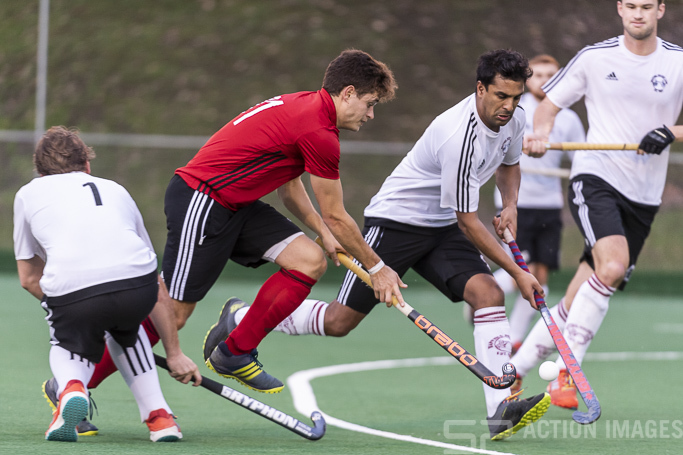 Due to squad rotation and unavailability, the M1s made nine changes to the side that played OGs the previous week, bringing in eight players making their first appearance for the 1s including five juniors. The first half was a relatively even affair with chances at both ends, although is was Wapping that got the only goal of the half going into the break one up. The second half was more eventful as the M1s exerted some early pressure and got the equaliser as Aedan McCrossan drove in from the right before pulling the ball back for Alex Williams to convert. However, a period of indiscipline by Southgate was their undoing as firstly McCrossan picked up a ten minute yellow by going to ground in a tackle and colliding with an opponent, and he was quickly followed by James O’Neill with a five minute yellow. Wapping took full advantage of playing against nine men and scored two more to lead 1-3. With Southgate back to full strength, they once again put Wapping under pressure, and when Williams was brought down by the Wapping goalkeeper to earn a penalty stroke, the game could have turned again, but the umpire elected not to card the keeper despite the baying calls from the balcony. When John Sterlini missed from the spot, it was all but clear, it wasn’t going to be the M1s afternoon. Much credit must go the juniors who stepped up and played well, namely; Rob Gill, Kyal Shukla, Rajan Shukla, Oli Izzo and Harry Haynes.